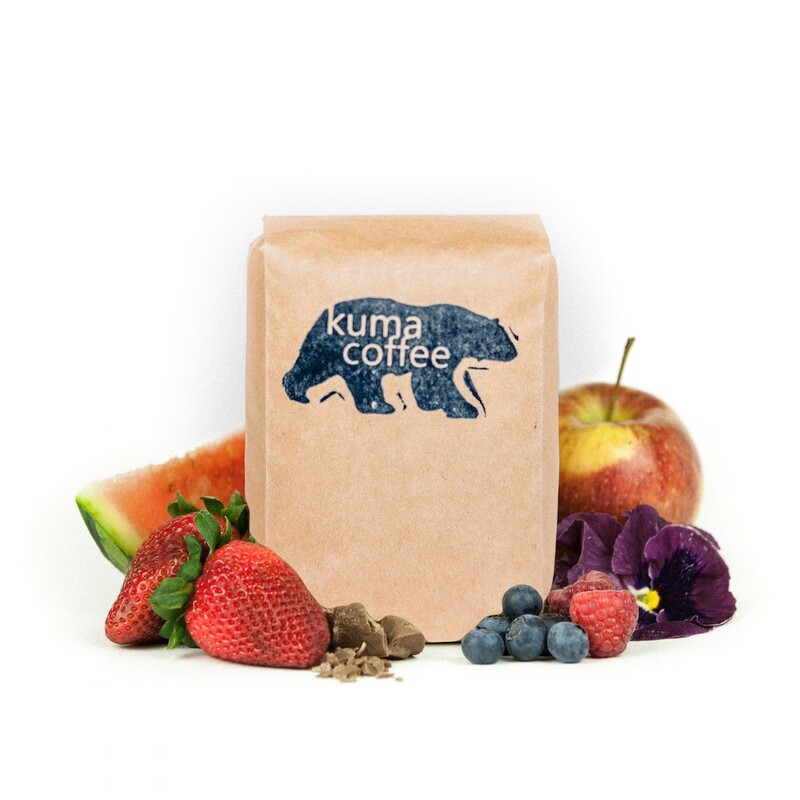 This is the Ethiopia Wenago brought to you by Kuma Coffee. Grown by the various small holder producers in the Yirgacheffe region at 1,800 - 2,000 meters, this full natural coffee is a perfect example of why we love natural coffees from Ethiopia. We love this coffee for its nuanced notes of berries, melon, tropical fruit and a perfumy floral aroma. The best one we've gotten so far! The taste of blueberries is outta control! This is a phenomenal Ethiopian that explodes with fruit-forward flavor. Upon opening the bag, the aroma of strawberries hits you in the face, and that strawberry note was even dominant in the first sip. As the coffee cools, it explodes with fruitiness and was a delightful and complex coffee to drink. I brewed this in a v60 and can't wait to drink the rest of the bag!